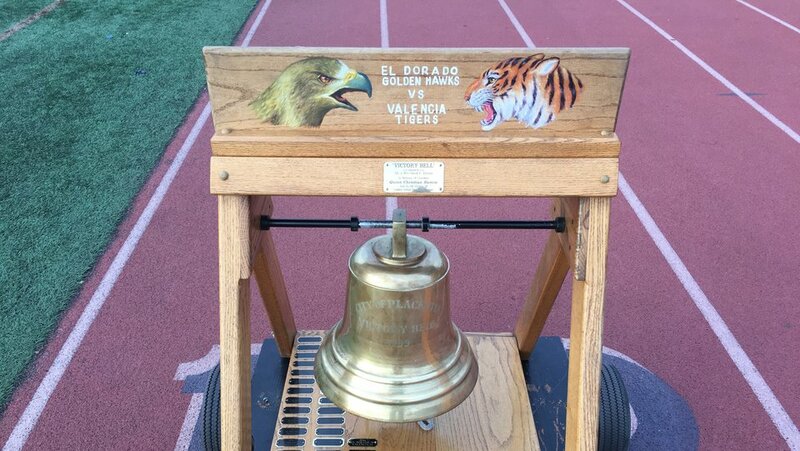 Placentia, CA — The Hawks got an early touchdown after a Valencia turnover. Jack Strouse found running back Chris Hurtl for a 10 yard score. El Dorado's defense got a big stop on the next possession when Camaren Sweet sacked Valencia quarterback Zackary Charles on fourth down deep in Hawks territory.